Samsung Galaxy Stardust is a smartphone launched back in 2014. The phone features a 4.0-inch display, 5MP back camera, 1.2GHz dual-core processor and comes running Android 4.3 Jelly Bean. It was amongst the best performing phones at the time launch. Samsung has released more phones with superior specifications leaving the Samsung Galaxy Stardust in the lower-end market tier. Let's get into the review. 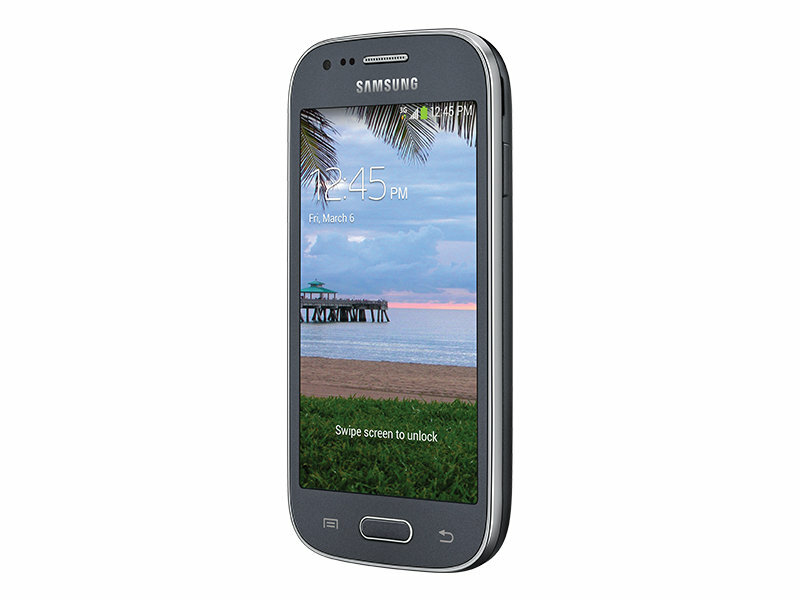 The Samsung Galaxy Stardust is available for ordering from the Tracfone Wireless website. In the package, you will find the smartphone, battery, screen protector, wall adapter charger, standard USB cable, activation card, manuals and a quick setup guide. The exterior design of the Galaxy Stardust is quite typical as Samsung had not really advanced in designing smartphones. Nevertheless, the layout contains all the features you will need. It has a smooth back cover with a textured strip running from top to bottom, a back camera with no LED flash, and your hands-free speaker. The back cover is removable, and it will give access to the battery compartment and the slots for the SIM and microSD cards. Samsung has maintained the layout of buttons even in the recently launched Samsung Galaxy smartphones. You will find the volume rockers on the left edge and the power button on the right edge. The headphone jack and noise cancellation mic on the top edge. The bottom edge has the microUSB charging port as well as the microphone. The front panel features a 4-inch touch screen. The navigation keys on the lower part of the display include a capacitive menu button, a physical home key at the center, and a capacitive back button. The top of the display has the earpiece, proximity sensor, and the front camera lens. Samsung Galaxy Stardust features a 5MP back camera and a 0.3MP front camera. While these are not the best camera specifications out there, they are sufficient for the price and they do a good job as well. The camera supports several modes such as the beauty face, panorama, sports, night. You may as well add effects to your photos or add a nine seconds audio just before your capture a picture. For advanced users, the camera has the pro mode where you can adjust settings like ISO value, timer, white balance and more. 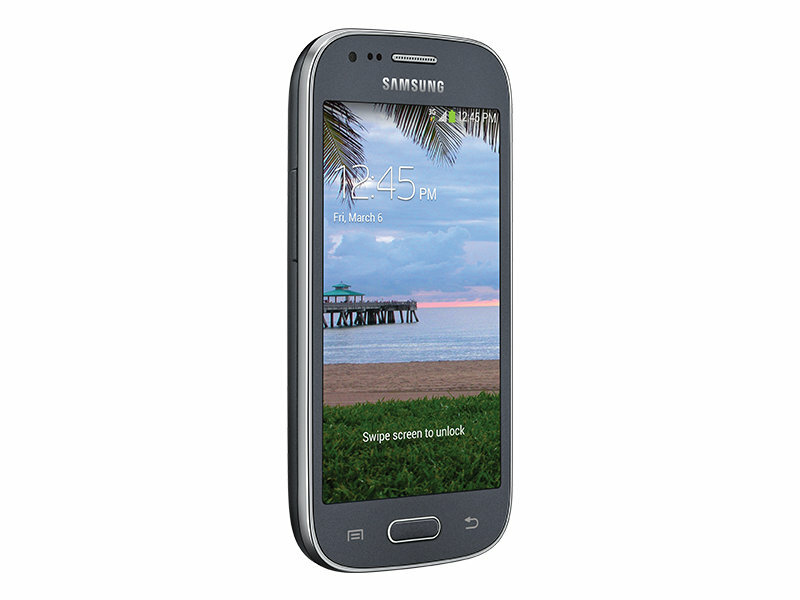 The Samsung Galaxy Stardust features a 4.0-inch touchscreen display that is quite responsive. The screen is bright while indoors but gets dim in bright sunlight. This may not be the next big phone, but it certainly fits those who are looking for a compact phone that’s easy to operate with one hand. The Samsung Galaxy Stardust runs on a 1500mAh Lithium-Ion removable battery with a talk time of 12 hours. Even though the battery is a smaller capacity, it's definitely going to power up your device for a full day. This is because, the screen is not a power intensive Quad HD, neither is it too big to need more power. Similarly, the resources in the phone such as a dual-core processor won't overeat into your battery. Luckily enough, the battery is also removable. So, you can always have a spare battery to swap with. Onboard memory of the Samsung Galaxy Stardust is 8GB. Out of this, 4GB is used by the operating system, and only 4GB is available for the user. While this is an entirely limited storage space, the phone luckily has a dedicated microSD card slot for external memory expansion up to 64GB. A 1.2GHz dual-core processor paired with 1GB of RAM gives the Samsung Galaxy Stardust enough power to achieve your regular daily tasks. It comes running Android 4.3 Jelly Bean which though not the recent version, supports over a hundred thousand apps on Google Play Store. The phone is offered by Tracfone Wireless which utilizes the Verizon cell towers guaranteeing the best call quality. Samsung Galaxy Stardust is 3G enabled, so browsing speeds are really good. It has Bluetooth for quick sharing of files with nearby devices and Wi-Fi for connecting to hotspots for free internet browsing. It's also GPS capable for locations services and Google Map navigations. 8GB internal storage. Supports memory expansion up to 64GB with an external microSD card. 1.2GHz dual-core processor (Qualcomm Snapdragon).